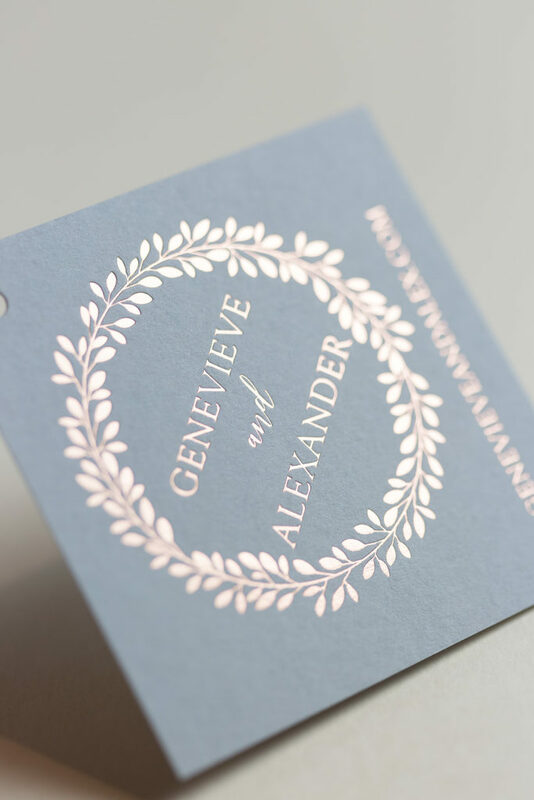 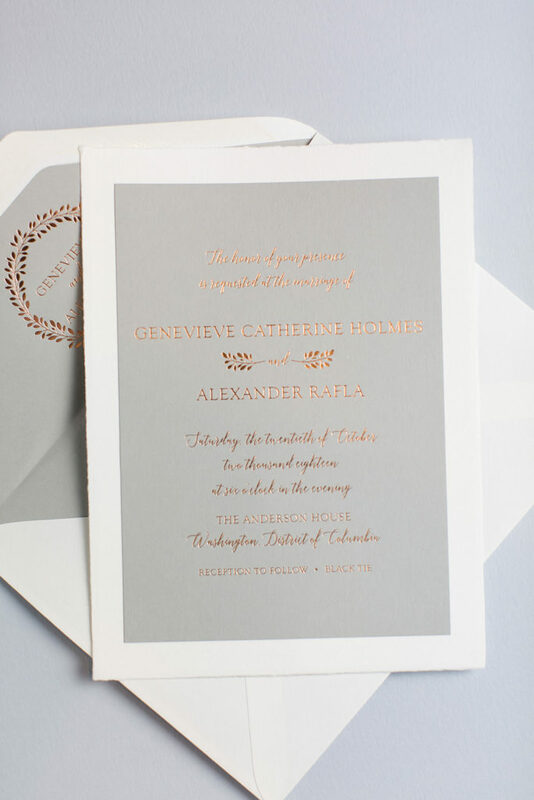 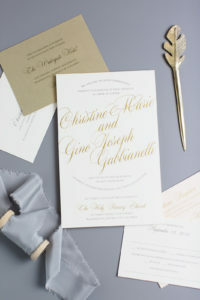 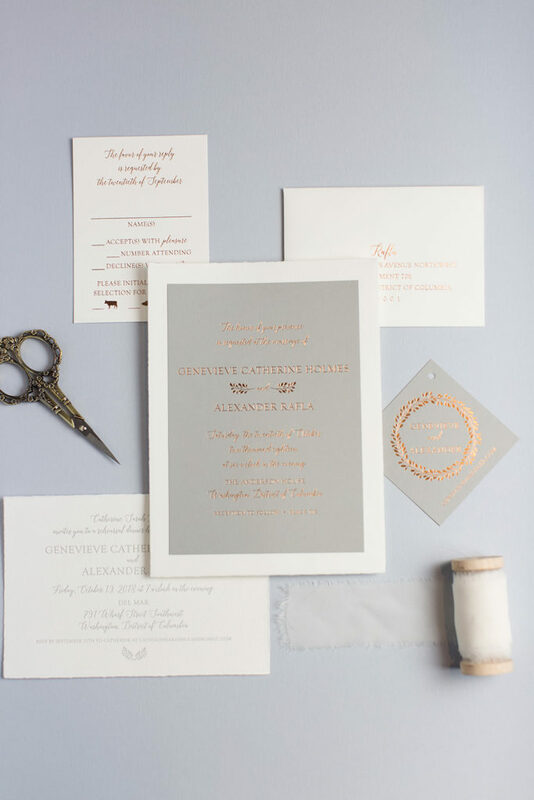 Copper foil is the highlight of these stunning wedding invitations for Gen & Alex by Designer’s Fine Press. 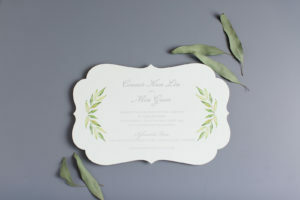 A beautiful gray color is layered onto a white deckled edge. 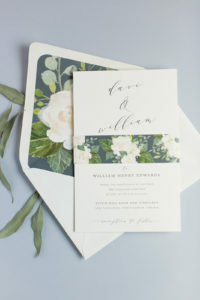 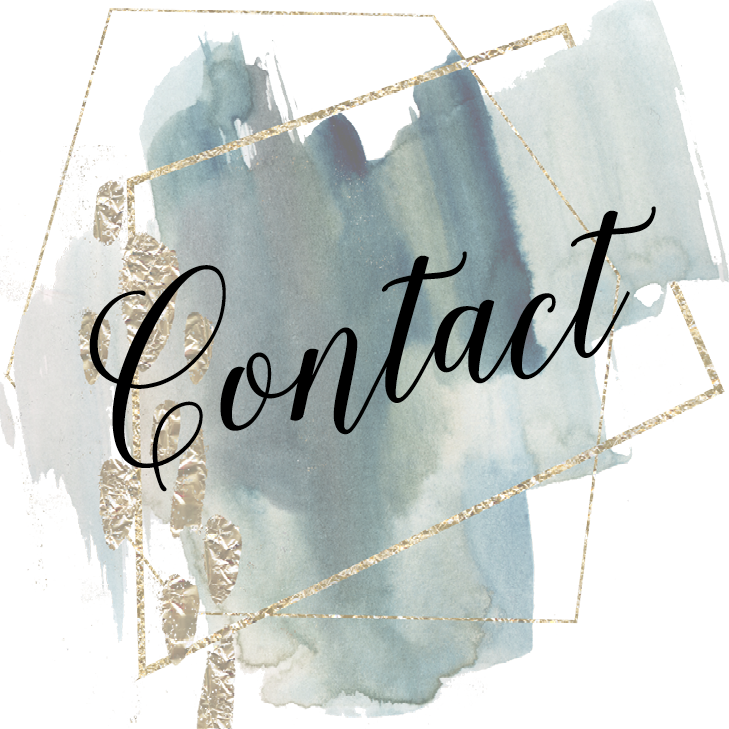 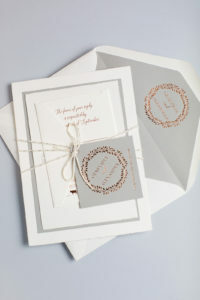 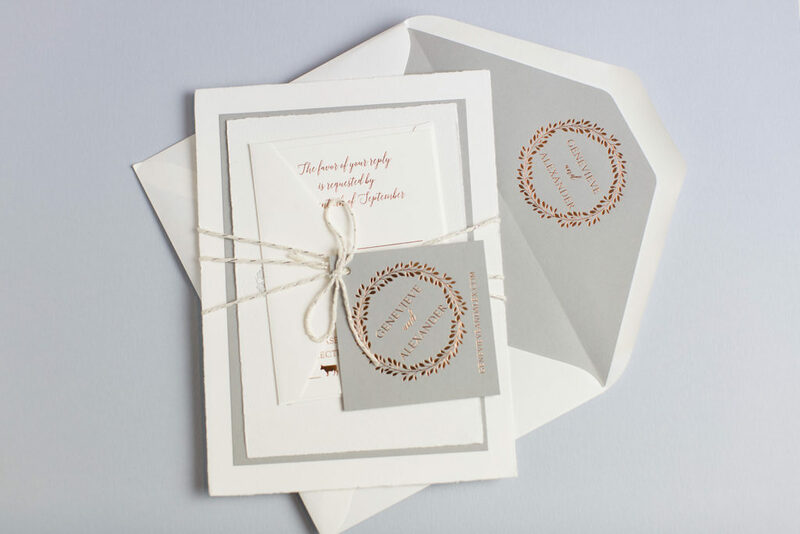 The response set and other inserts are tied together with baker’s twine and an adorable tag featuring the couple’s wedding website. 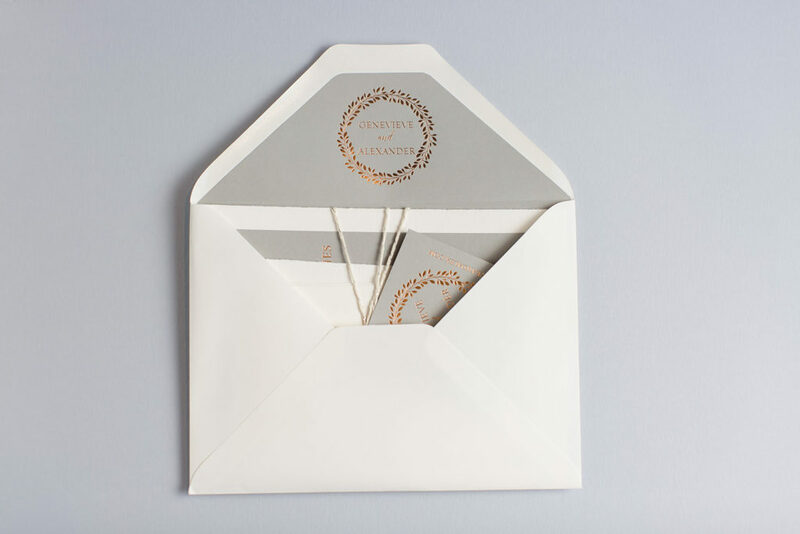 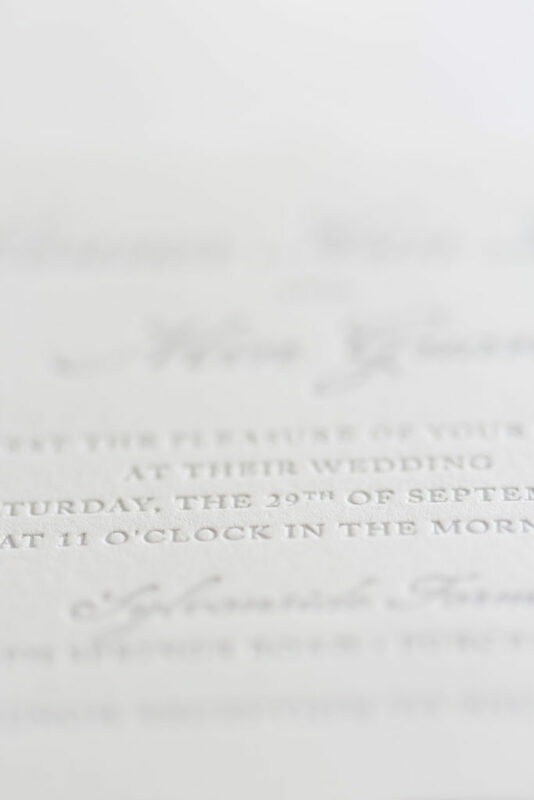 Imagine opening this stunning invitation – you’d know you’re in for a treat right from the beautiful custom envelope liner!